Eight reasons why your loan request can be turned down. Your residential address is on the defaulter list: If you live under the same roof as someone who has slipped up on a loan payment or credit card dues and hence been reported to CIBIL, banks probably will have the address stored in their defaulters' database. In such as case, the probability of your loan application to be rejected is likely to be high. The reason being your residential address will find a match with the one on the defaulters' list. Poor track record of credit card or loan repayments: You have been accumulating credit card dues over the years resulting in a huge pending payment, which is well past the due date. Or it could be that you have slipped up on a few EMIs. In these instances, your name would have been reported to CIBIL. When a bank looks up your credit card or loan repayment track record, it would have a strong reason to reject your loan. Also, telephone bills and insurance premiums are likely to join this list, so do keep a strict vigil on all your bill and credit repayments. Too many previous loans and too little income: If you are juggling too many loans already, then your income minus the ongoing credit repayments is what will be considered as your real income. If another loan is likely to cause a severe strain on this income or make it unlikely for you to be able to repay effectively, then your loan will be rejected. Loan guarantor to someone who didn't pay up: When you sign the dotted line to be someone's loan guarantor, do exercise a lot of caution. You must make sure the applicant you are vouching for has the ability to repay the loan without hassles. Unless and until you have strong reasons to believe so, do not rush to sign for them because if they fail to repay for any reason you will be accountable to repay the loan on their behalf. In such circumstances, where you have been unable to repay their loan, you will be reported to CIBIL and this will reflect in a bad credit report. Co-applicant has a poor CIBIL record: It is important for all the loan applicants to have a good credit repayment record. If you have a clean record but your co-applicant has a credit card issue reported for instance, then your loan application may not be considered. You are a compulsive job hopper: Banks place a lot of importance on job stability and certain banks even insist that an applicant needs to be employed with a particular concern for three years or more to be eligible for a home loan. Also, in instances where a reputed company's future appears unstable, the bank can reserve its right to provide a loan to the applicant from that company. You want a joint loan with your sister or friends: Though some banks might consider providing a joint loan to brothers who are co-applicants, banks, as a rule, do not provide loans to sisters or a brother and sister or friends, who wish to be co-applicants. However, you can choose to opt for your parents as co-applicants for the loan. 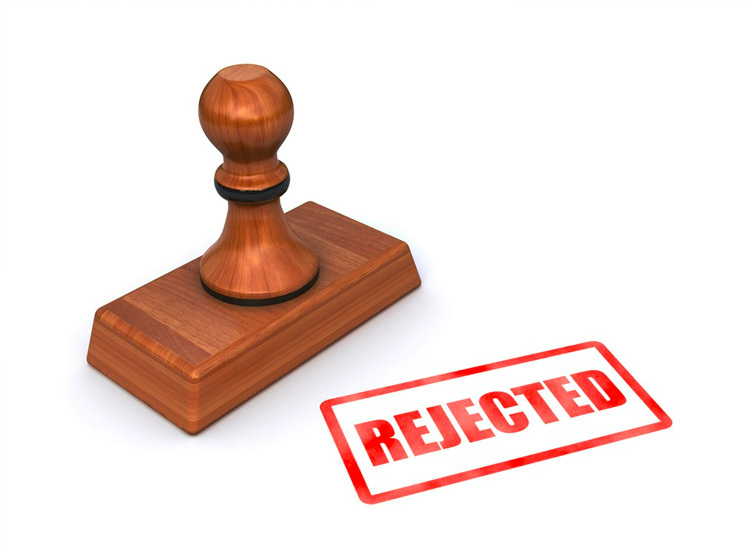 Your loan application has been rejected before: Remember, it is not a wise thing to keep applying for a loan without any rhyme or reason. If your loan application gets rejected, this is also recorded in your CIBIL record. So weigh the pros and cons before you apply for a loan simultaneously to different banks. Wait till you receive an offer before you apply to another bank. This will give you a chance to rectify errors or update your credit record in case there is an issue with it before you approach another lender. Gauge your repayment ability, calculate your net worth and evaluate if you are ready for a loan commitment. Get a copy of your credit report from CIBIL and other bureaus, where your records can be found. Analyse them and figure out if there are any concerns in the report, which need to be addressed. For instance, if you have paid all your credit card dues but this is not reflected in your CIBIL record, then you need to approach the bank in question and get proof for the repayment. You will then need to submit the proof to CIBIL and get the information updated. Ensure you have back up funds to pay your EMI for a bunch of months. Make as much down-payment as possible and prepare well ahead to close the loan as quickly as you can to continue a good repayment track record. Moreover, closing off a debt when possible will free up your resources for other uses or even for a new loan if the need arises. Disclaimer: All information in this article has been provided by BankBazaar.com and RDX Finance is not responsible for the accuracy and completeness of the same. Banks Can Retain Pledged Gold Till All Dues are Cleared: HC.